Singapore Airlines will increase the number of flights between Incheon and Singapore to a total of 18 frequencies weekly beginning June 1, 2010. As a result, Singapore Airlines’ current twice-a-day operation of Incheon-Singapore on Tuesday, Thursday, Saturday and Sunday will be increased to three times a day. Singapore Airlines is currently operating 14 frequencies with 2 flights a week on the Incheon-Singapore route. As new flights start operation in June, the number of weekly frequencies will be increased to 18. The new SQ609, departing Incheon at 4:30PM, arrives in Singapore at 9:45PM, while returning SQ608 departs Singapore at 8:00AM and arrives in Incheon at 3:25PM. 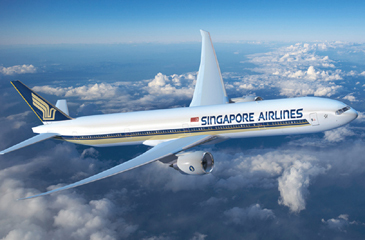 Singapore Airlines is increasing the number of flights in order to meet the growing demand amid market recovery. As a result, not only the passengers heading for Singapore but also travelers to worldwide destinations such as South East Asia, Australia, West Asia and Europe via Singapore will be able to enjoy convenient choice of schedule.